The Young Vic Theatrea was one of the original visionary redevelopments to utilise expanded metal mesh for its aesthetics as well as its functionality. 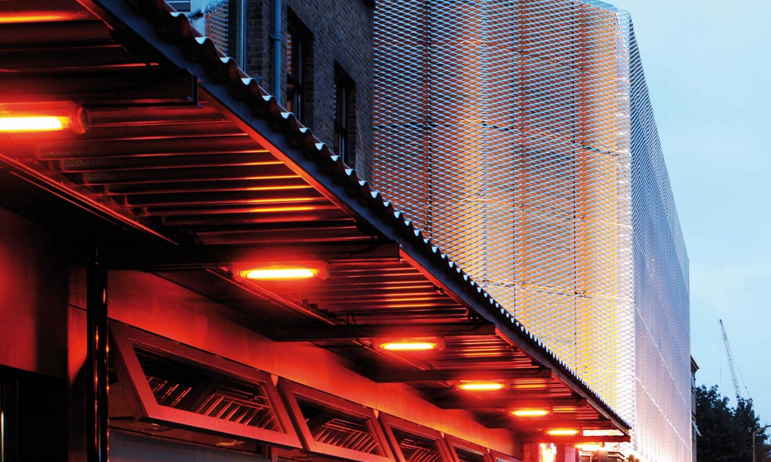 By using the product as decorative metal mesh for the building’s exterior design, the Young Vic Theatre was rejuvenated as one of London’s most stunning landmarks. Jointly developed in cooperation with James & Taylor, the project went on to win the prestigious RIBA London Building of the Year Award.